Many of you know about acai berry, blueberry, raspberry and other berries that are good for the health. There is also another super berry that might be the greatest of them all – the maqui berry. It contains more antioxidants than other berries, and has great anti-inflammatory and antibacterial benefits. What I like about it: Kiva is one of the companies that I admire because they offer great-tasting food sourced from local farmers who only practice eco-friendly and sustainable methods. Their 100% raw, non-GMO and organic maqui berry is one of the best-tasting and high-quality products because it comes from the ripest freeze-dried maqui berries. You can add this yummy powder to your Greek yogurt for the ultimate healthy snack. You can also blend it with your smoothies, sprinkle over cereal, and bake it with your granola. 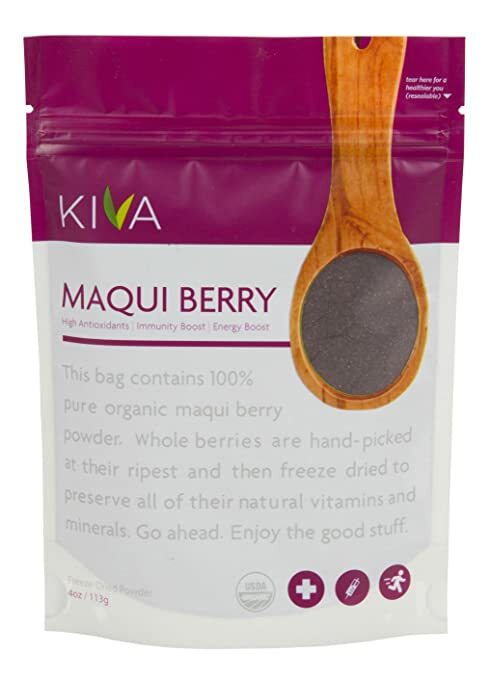 Kiva Maqui Berry Powder helps remove the pain from their arthritis and colon, and even treats their chronic fatigue. 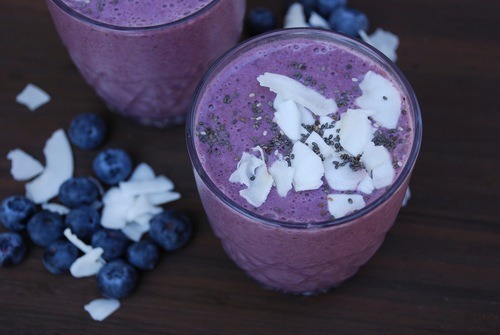 Check out the benefits of this maqui berry powder for yourself. What I like about it: Terrasoul Superfoods is a family-run business that sources the freshest food on the planet. What I like about this company is that they make amazing healthy foods at the lowest possible price while making sure that they pay their employees and growers fair wages. When you purchase this organic USDA-certified maqui berry power, you are sure that your product is gluten-free, vegan-friendly and fair trade. Terrasoul also has an outstanding customer service team should you have any problem with your purchase. To ensure that you only have the best product, the company tests all their maqui berry powder for purity with a third party laboratory. They also offer a 30-day money back guarantee. What’s to lose, right? 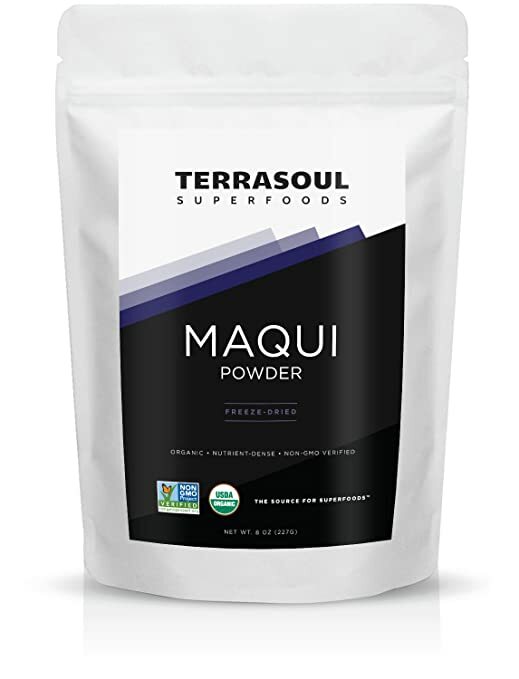 Try the Terrasoul Superfoods Organic Maqui Berry now. 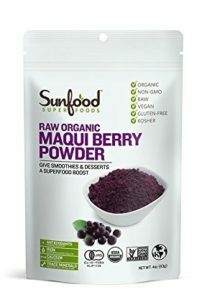 What I like about it: This maqui berry powder by Sunfood is processed raw and then freeze dried to preserve its nutrients. It is also pesticide free. In comparison to Terrasoul, the Sunfood Maqui Berry Powder is more expensive but less grainy. It also tastes sweeter than the other brand. One bag of this powder can last to 57 days if you use the recommended 1 teaspoon daily, so it’s still a good value for your money. If you have any questions about the product, Sunfood responds well to inquiries. I recommend this product and the Sunfood brand! What I like about it: I just can’t get enough of the packaging of this product! It comes in a fully recyclable and reusable container that you can use to hold your pens and other knick-knacks. 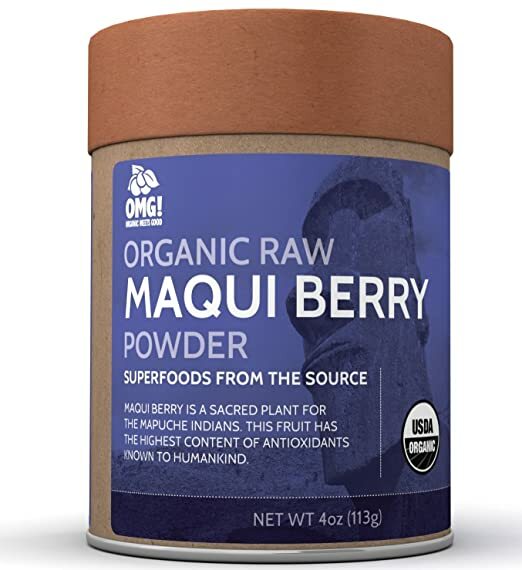 Quality-wise, their maqui berry powder is great. It is kosher, vegan and 100% USDA-certified organic. OMG! operates in its 3 guiding principles – live an eco-friendly lifestyle, provide healthy and tasty products, and promote global awareness. I support these 3 values, and if you also do, then you might want to check out their product for yourself. 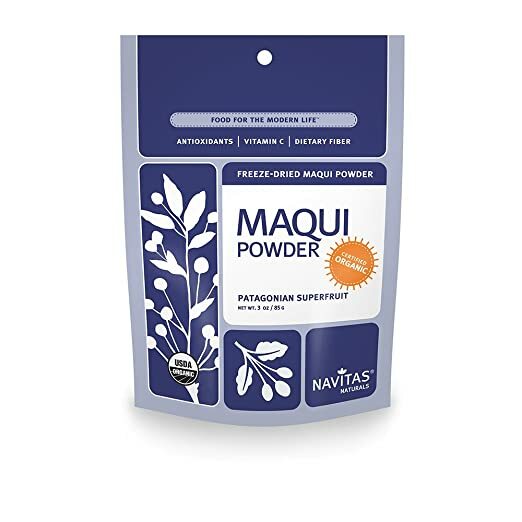 What I like about it: Navitas Naturals 100% certified organic maqui berry powder has a tart flavor and tastes a bit like blueberries and blackberries. 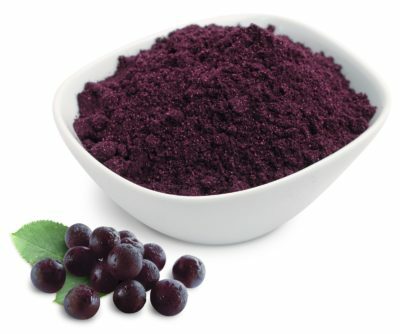 This finely milled powder is great-tasting and makes a delicious Blueberry Maqui Syrup (you can check the recipe at Amazon). You can also add it to cereals and dessert. If you are ready to add more nutrients to your typical snack, give this product a try. Kiva, Terrasoul, Sunfood, OMG! and Navitas are top maqui berry supplements. They are 100% certified organic, raw, and vegan. Many maqui berry supplements are now claiming to be organic; however, I recommend looking for the USDA-certified seal to make sure that they are really 100% organic. These top-quality brands are finely milled and make great additions to your smoothie, dessert, yogurt, and snacks. You can purchase these products online at Amazon. Want to know why maqui berry is good for you? Read the Top 5 Health Benefits of Maqui Berry. Leave a comment below to share your favorite brand or maqui berry product!